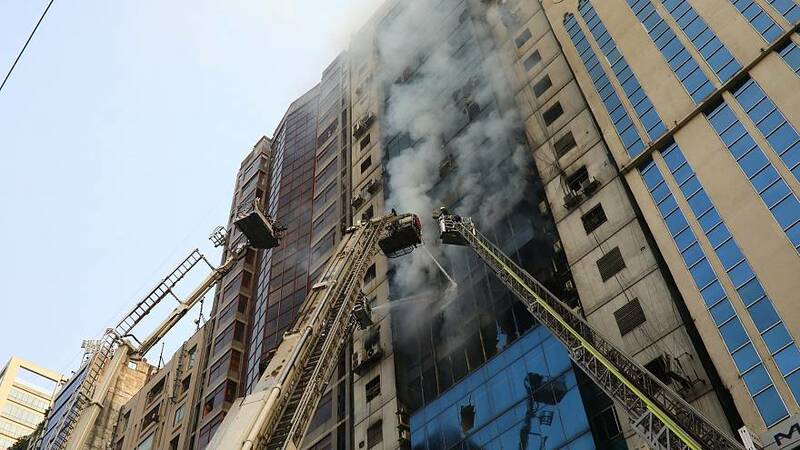 A fire in a high-rise office building in Bangladesh's capital on Thursday killed at least 25 people, officials said. People were seen shattering the building's glass windows to ask for help. Saikot Ahmed, who worked in the building, said the blaze started either on the 6th or the 7th floor. He escaped the fire by running down the stairs.